‘Dead Bug Tray’ was a byproduct of research I was doing to gather visual reference of insects for a feature film I was working on. 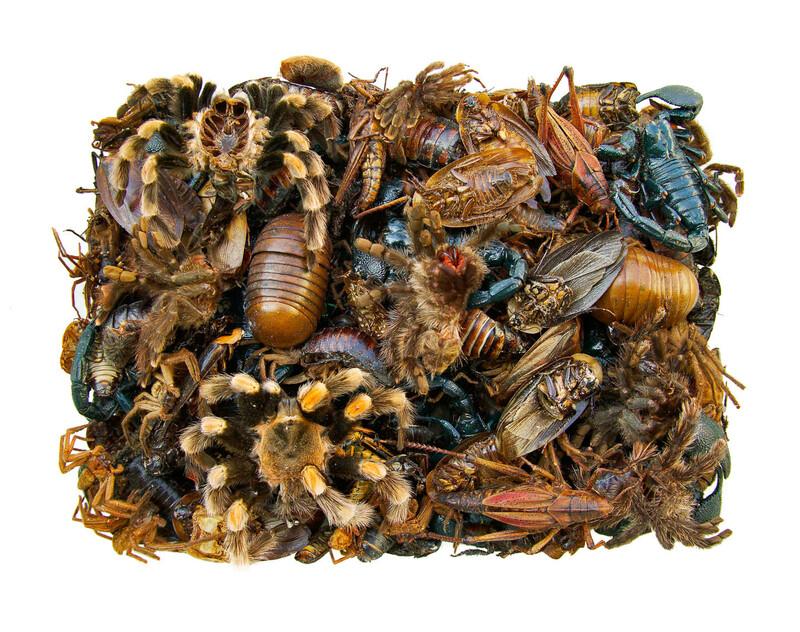 I was shooting individual specimens against white paper under an open-shade sky, off to one side of the filming location; but was fascinated by the dramatic visual of this tupperware tub full of smelly, dead insects piled on top of each other that had been assembled for the task. Plus, I have a history of photographing found dead things. I decided to photograph the tub flat-on against the white paper, overexposing the translucent white of the container walls against the darker bugs. The natural complexity of the outdoor location lighting added a richness to the reflections on the shiny bugs that I wouldn’t have gotten had I taken this back to a studio environment. Sometimes opportunity and art come together in lucky ways.